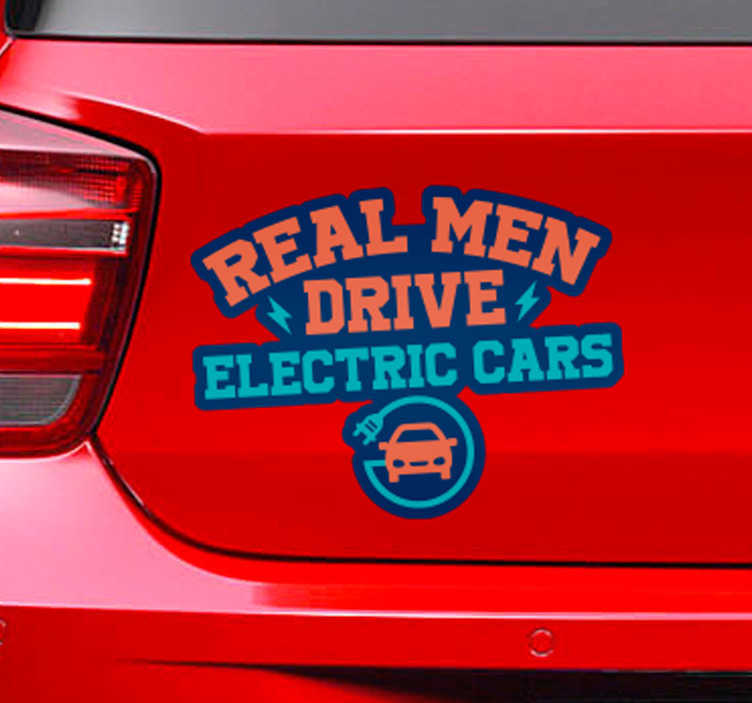 Real Men Drive Electric Cars! A hugely important and salient vehicle sticker for those who really do care about the environment and wish to showcase that to all driving around them! Nothing is as beneficial for the environment that is also just so useful, so why not add some electric car decor, thanks to us here at Tenstickers! Like all of our car stickers, they are superbly durable while also having a 15 year lifespan and being superbly easy to apply.